An Excellent Opportunity to Buy a The Melting Pot Franchise Restaurant. The Melting Pot is the world’s premier franchise fondue restaurant system offering a truly unique Fondue dining experience. The Melting Pot currently has established and new restaurants in excellent locations ready to franchise. Contact us immediately to find out more about owning a restaurant. The first Melting Pot opened in April of 1975 in Maitland, Florida, just outside of Orlando. It was a cozy, quaint location, and its first menu consisted of just three items: Swiss cheese fondue, beef fondue and a chocolate fondue dessert. However, as the restaurant’s popularity expanded, so did its menu and ambiance. 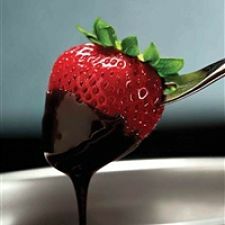 For 40 years, The Melting Pot® has been North America’s premier fondue restaurant. The Melting Pot is an easy-to-operate franchise with little to no competition within the fondue niche. As a full-service restaurant, The Melting Pot delivers a one-of-a-kind dining experience built around the celebration of food and special life moments. It provides franchisees with the opportunity to host these moments, provide exceptional food and atmosphere and be their own bosses in a unique market that continues to grow and thrive. Today, with more than 126 locations in 35 states, Canada, Mexico, Indonesia and the Middle East, and more than 15 locations in development worldwide, The Melting Pot Restaurants, Inc., is the world’s premier fondue restaurant franchise. The Melting Pot is an affiliate of Front Burner Brands, a restaurant management company headquartered in Tampa, Florida.